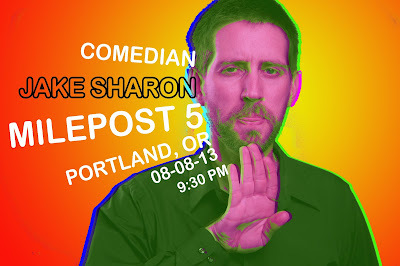 I just added another show to Jake Sharon's SUSHI EATING Northwest Tour 2013! On August 1, I will be at Portland's 2-acre, indy art collective, Milepost 5! As a bonus, I'm bringing Indianapolis comedian Kris Shaw! Two headliners for the price of one! Show starts at 9:30pm Come on down!